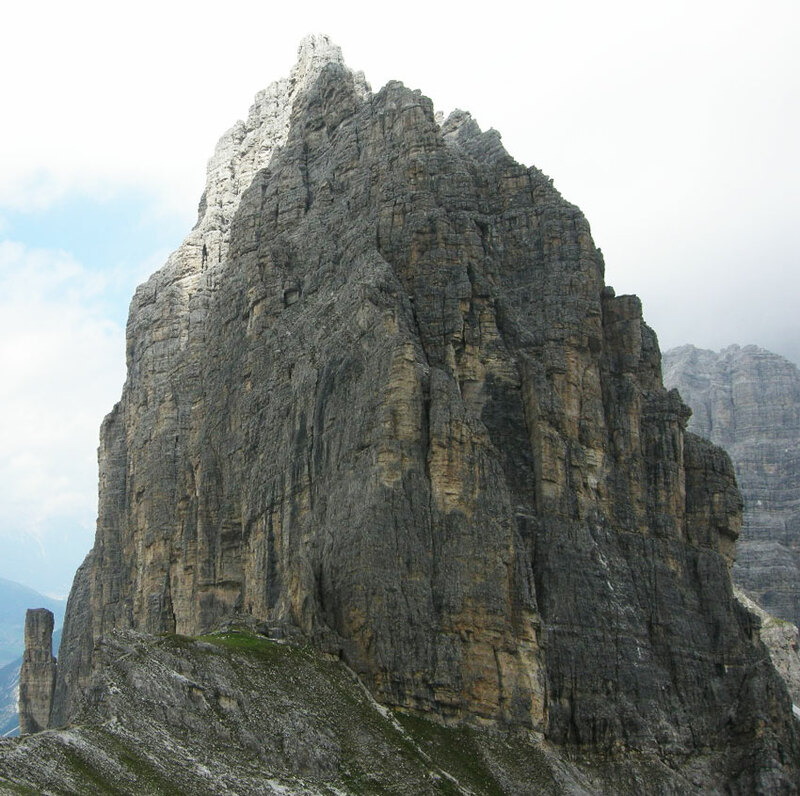 Above: The Ilmspitze in the flesh. 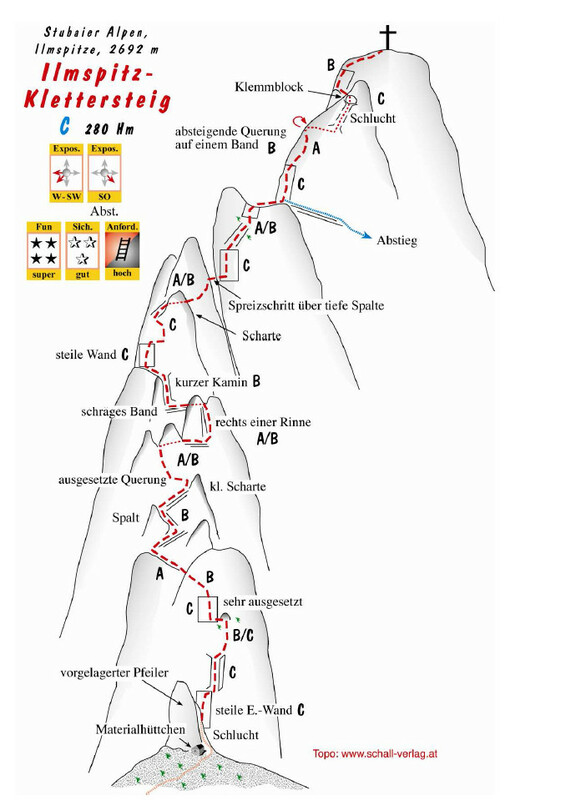 The Kletersteig goes up slightly left of centre all the way to the top. 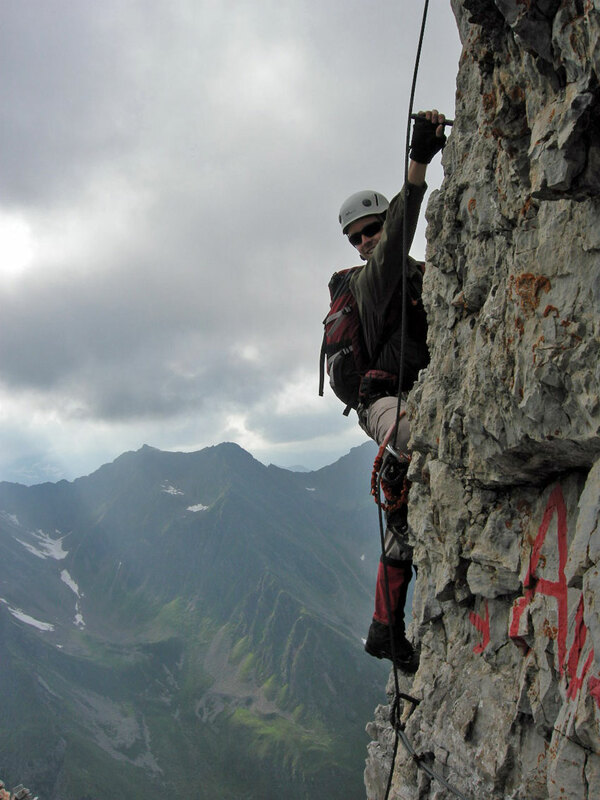 Below: Climbing on the Ilmspitze. Just above the route down (Abstieg), which as you can see is clearly marked.